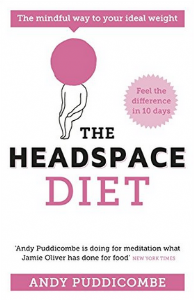 The Headspace Diet is designed to show you how to find your ideal weight in an easy, manageable and safe way. It will teach you how to remind your body of its own natural intelligence and ability to self regulate, allowing you to escape the neverending diet trap. Here you will follow simple yet potentially life-changing exercises in order to develop new effective habits and a much improved relationship with food and your body. Mindfulness based meditation is the hot topic in neuroscience, over 2000 scientific papers have already been published in medical journals showing just what extraordinary benefits this easy practice has to offer. The Headspace mission is to get as many people taking just 10 minutes out of their day to practise these powerful techniques. Mindful eating is a key aspect of mindfulness and as you start to practise it you will notice profound results, both in terms of your shape but also your overall health and well being.